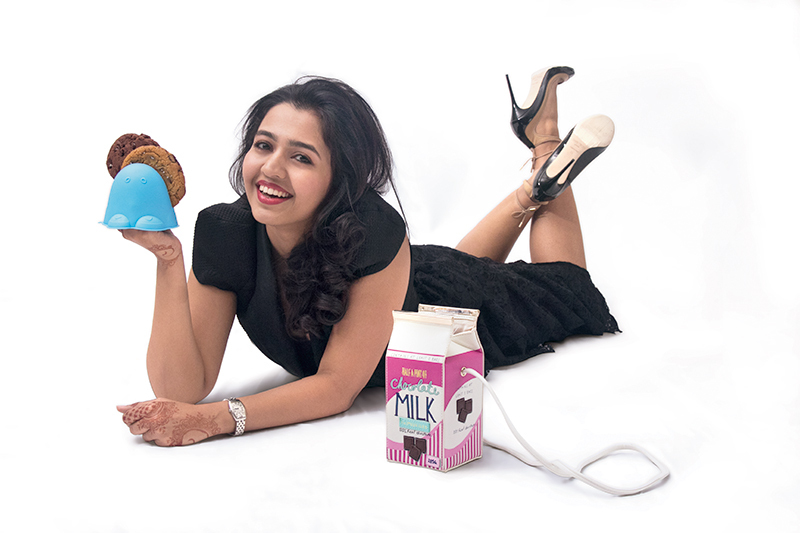 Cut-out jacket, lace frill skirt, both from Madison; watch, Neha’s own; Milk bag, from Accessorize; black pumps with leather tie-ups, from Jimmy Choo. While working in New York, after graduating with a degree in finance from Wharton, I realised that it wasn’t what I was meant to do with my life and so while trying to figure out what to do, I baked. It was a way for me to distract myself. Eventually, I started Sweetish House Mafia as a passion project and the fact that it took off was surprising, and very rewarding. The Harry Potter and Hunger Games series. I definitely prefer fiction over non-fiction. The Wolfman starring Benicio Del Toro, Anthony Hopkins, Emily Blunt and Hugo Weaving. It was an absolutely horrible film with an amazing star cast. Looking forward to work every day. Keep pace with customer demands in terms of flavours and tastes. Expansion of SHM to different parts of the city.